Today's article comes from DSC Nutrition Coach, Sydney Morgan. Intermittent Fasting (IF) is a nutritional method that has gained a lot of popularity in recent years which involves controlling when you eat and when you don’t in a given period of time. This method has roots that go back to the Paleo Era, when food was not in abundance as it is today. Without food at every corner, people were unable to eat all day long. Back then it was not a diet but a lifestyle. The most popular method of intermittent fasting is done by dividing the 24 hours in a day into a 16-hour fasting period and an 8-hour eating period, however you can personalize this split any way to fit your lifestyle. During the 8-hour eating period you are still aiming to get in the same amount of calories you would on any other day, just in a shorter period of time. During the fasting period you are allowed to drink no calorie beverages such as water or black coffee, but are not supposed to take in any extra calories at all. The idea of “fasting” can be intimidating to some people, but luckily the majority of the fasting period can be planned around your sleep cycle. If you factor in 8 hours of sleep, there are only 8 more hours to fast. These hours can be split between the morning and the evening, so you might not have your first meal until noon, but you will be able to eat up until 8pm the night before. Again, this can all be personalized to fit your lifestyle. How can you benefit from adapting to the Intermittent Fasting lifestyle? Advocates of IF say it has several benefits including improved body composition by reducing body fat percentage and maintaining lean muscle mass. Since you are eating fewer times throughout the day, there will be fewer meals to prep for and clean up after. This may save you some time in the long run! Intermittent fasting can reduce insulin resistance lowering blood sugar by 3–6% and fasting insulin levels by 20–31%, which should protect against Type 2 Diabetes. Some studies show reductions in markers of inflammation, a key driver of many chronic diseases. Intermittent fasting may reduce “bad” LDL cholesterol, blood triglycerides, inflammatory markers, blood sugar and insulin resistance — all risk factors for heart disease. Animal studies suggest that intermittent fasting may prevent some cancers. Intermittent fasting increases the brain hormone BDNF and may aid the growth of new nerve cells. It may also protect against Alzheimer’s disease. Intermittent fasting can extend lifespan in rats. Studies showed that fasted rats lived 36–83% longer. Intermittent Fasting has shown to have quite a few beneficial effects, however there is potential for downfall if it is not done properly. At the end of the day, IF is just one nutritional strategy or approach to help you reach your nutritional and health goals. What I have found as a nutrition coach is that IF needs to work for you, your schedule, and along side a very solid nutritional background. I find it to be a more advanced nutritional strategy, and not a great place to start improving your nutrition but something that can have its place down the road. Poor eating habits may develop. By following a time-restricted plan such as IF, there is potential for development of poor eating habits. Some individuals who have tried Intermittent Fasting have run into problems with adapting to the feeding/fasting time periods. One, people tend to overeat because they believe 8 hours is not enough time to get an entire day’s worth of food eaten. Especially at the end of the eating period, people tend to stuff themselves "just in case" so they are less likely to get hungry earlier in their fast. Some even believe in “treating” themselves at the start of the eating window as a reward for finishing the fast. The second would be obsessing over the feeding/fasting periods so much so that you are unable to truly recognize when your body needs nourishment. When you first start the IF method you may feel extreme hunger at the end of the long fasting period. Some people find themselves ignoring this feeling just to make it a full 16 hours without eating. If this were to continue happening without adjusting to the fasting period, it could become a serious health problem. Developing good eating habits is priority number one when it comes to improving your nutrition. Whether we notice it or not, we develop habits in all aspects of our life, especially with food. There is no guidance from a Nutrition Professional. Intermittent fasting can be similar to other diets in the sense that you are stuck trying to follow guidelines with no one to help or hold you accountable. This alone can make IF difficult to keep up with in the long term. When you are not obligated to hold yourself accountable, it can be easy to give up or fall into a pattern known as “Yo-Yo dieting.” Yo-Yo dieting is when you strictly follow a diet for a period of time and see the results you wanted (ex. weight loss) but are unable to sustain the changes in the long term, thus gaining the weight back. This pattern is unhealthy and is usually the result of trying to find a quick fix to lose weight. If you are hoping to lose some weight by following IF, know that support is crucial for success! It is important to note that the positive outcomes from doing Intermittent Fasting are dependent on an existing healthy diet and exercise. Intermittent Fasting does not give information on WHAT to eat, only WHEN to eat. Which may prove appealing to some because they wont have to change what they eat just when they eat it. However, think back to the Paleo Era when fasting was a lifestyle. There were no processed foods like potato chips, white breads, and soda but only whole foods like vegetables, grains and lean protein. Also keep in mind that in this time period, people were incredibly active and almost never sedentary. If you are someone who struggles with knowing what foods are healthy and how to prepare a balanced meal with healthy carbohydrates, protein, and fats, then you may benefit from first nailing down these basic concepts. To be successful using a method such as intermittent fasting, you must pair it with healthy eating habits and exercise, otherwise the disadvantages may outweigh the benefits. It is important to develop a solid, basic nutritional foundation before adapting to something like intermittent fasting. Having a good understanding of basic nutritional concepts will set you up for success! At DSC, our Nutrition Coaching Program provides the tools and knowledge needed to create a solid nutritional foundation personalized to the individual. We provide you with individual coaching and a community of others to keep you consistent and accountable. We want to make this easy! We will give you simple fixes to your everyday routine to help you live a healthier life without forcing you to follow any strict “diet” guidelines. We will provide the tools needed to sustain healthy eating habits long term with our habit based program. Our coaches will help you develop goals for yourself in the short term and the long term to keep you motivated. We will make eating healthy enjoyable and not work. 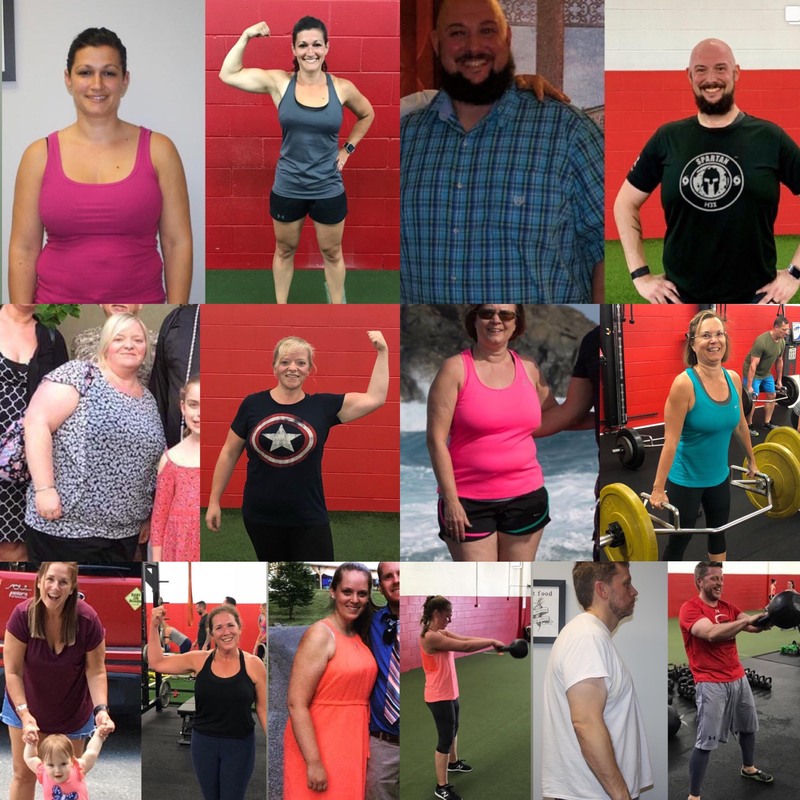 Unlike a lot of "diets", our program is designed to give you the tools and know how to make smart decisions on your own for the rest of your life! Our Next Nutrition Coaching Program starts February 11th! Click below for more information! Our Winter Nutrition Coaching Group starts Feb. 11th! Let's CRUSH some 2019 goals!